The Herwart von der Decken-Show celebrates its jubilee as it will be held for the 10th time. The jury of judges is as exquisite as the mares competing in the different disciplines. Verden, 25 july 2017 - It is awarded every four years only, the Herwart von der Decken-Prize for the best mare family. The time has come again this year: each three mares will compete for the highest breeding award the Hannoveraner Verband has to give. The three-year-old show jumping mares will shine during jumping under the open sky while the dressage mares will delight the audience on the triangle. The Herwart von der Decken-Show is the shiny start of the tournament “Verden International”. There will be a lot of top sports performances to watch as the tournament in Verden (Aller) will be one of the last venues before the European Dressage and Show Jumping Championships in Gothenburg. The Herwart von der Decken-Show celebrates its jubilee as it will be held for the 10th time. The jury of judges is as exquisite as the mares competing in the different disciplines. Olympic and World Champion Sandra Auffarth, Bergedorf, will judge the show jumping mares together with Jörn Wedermann, Wangerland, member of the board, and Dr. Werner Schade, breeding manager of the Verband. The successful trainer Jonny Hilberath, Scheeßel, will also participate in the jury for the three-year-old dressage mares. Theodor Leuchten, Ratingen, and Dr. Ludwig Christmann, Verden, as well as the experienced Hanoverian breeder Kevin Lewis from Australia will form the trio of judges for the family competition. Kevin Lewis and his wife Janette, President of the Australian Hanoverian subsidiary “Hanoverian Horse Society of Australia” are strongly committed to the Hanoverian breed in Down Under. Approx. 80 three-year-old mares meet on Verden’s best-known catwalk. The individual district associations send their best representatives for this hippological highlight. Apart from that, each district association is entitled to nominate one mare family for the Herwart von der Decken-Show. The Herwart von der Decken-Show is the prelude for „Verden International“. The event features sport competitions at the highest level, from young horse development classes to dressage and show jumping competitions and tests at the highest level. The Verden Country Days complete the exciting event. Breeding and sport go hand in hand in Verden. 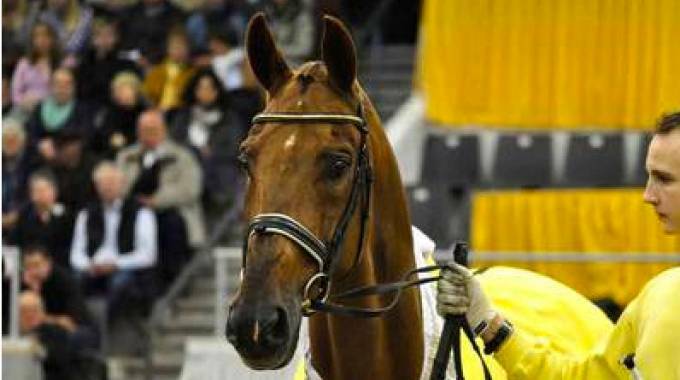 114 foals and seven broodmares will be put up for auction on Friday and Saturday in the Niedersachsenhalle in addition to the international competitions. The Herwart von der Decken-Show starts as of 9.00 am.